Let's start a conversation. I have depression. I do not have three heads. See how that works? Mental illness is an illness, same as any other. We didn't ask for it, we take care of it, and we learn to live with it. If I get the flu, I go to the doctor and get appropriate treatment, and no one thinks any less of me as a result. 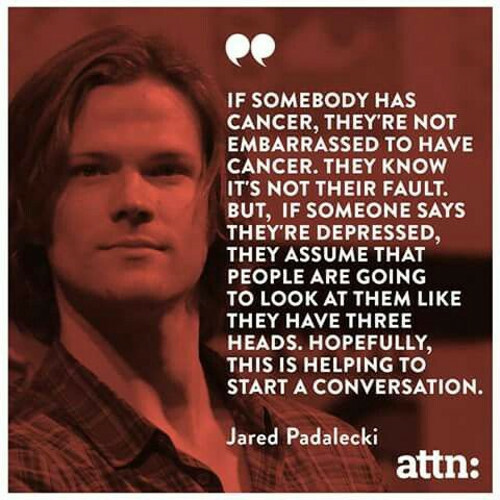 We need to reach that point for mental illness as well, for everyone's sake.